Although “flu season” doesn’t have a specific start date, occurrences of influenza (flu) typically begin to increase starting in October each year. According to the U.S. Centers for Disease Control and Prevention (CDC), flu season outbreaks typically peak December-February and flu activity can last as late as May each year. Whether you hire an office cleaning company or manage in-house janitorial staff, you’ll want to do whatever you can to maintain a clean and healthy work environment. You want to protect your employees’ health as much as possible to ensure they stay healthy and productive. But, how can you do so during flu season? The solution is having an office cleaning company clean with health first in mind. Physical contact with someone who has the flu virus & rubbing the eyes, nose, or mouth. Workers who take four sick days due to the flu were estimated to cost businesses more than $9 billion in lost productivity in 2015-16, according to the global outplacing and executive coaching firm Challenger, Gray & Christmas, Inc. This estimate from Challenger, Gray & Christmas, Inc. was upgraded for the 2017-18 flu season to increase to $15.4-20.9 billion. The amount depends on the number of people who become sickened with the virus. A lot of people don't realize what they are exposed to at work. However, having proper cleaning for health performed by an office cleaning company during flu season can significantly mitigate illness. In addition to recommending that employees receive the flu vaccine each year, employers also can have their offices and facilities cleaned to disinfectant standards. There is a key distinction between sanitizing a workplace and disinfecting it. When disinfecting the workplace, the best central Florida and Orlando cleaning services follow industry best practices, ISSA’s Cleaning Industry Management Standard (CIMS) and CIMS Green Building (CIMS-GB) certification standards, and adopt an Operating System 1 (OS1) approach to comprehensive cleaning. Follow specific techniques and protocols. 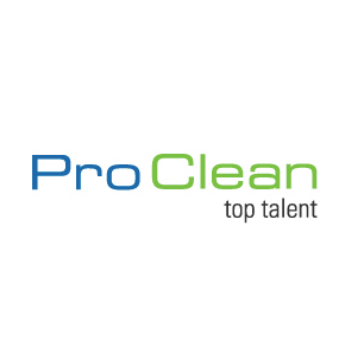 Pro Clean is an office cleaning company that has helped businesses in the Orlando and Tampa Bay areas of Florida keep their employees stay healthy since 1989. As a commercial cleaning company, we’re here to help your organization do the same during the 2018-19 flu season. To learn more about cleaning for health during the flu months, download our complimentary resource by clicking on the link below. Otherwise, to learn more about how we can keep your facility healthy and looking clean, get in touch with our team of cleaning experts today.